You are at:Home»Featured Offers»NEED A CHEAP GPS TRACKER? NEED A CHEAP GPS TRACKER? No matter how modern vehicle security technology improves - thieves are able to find a way around it. Should the worst happen and your vehicle is stolen, the GPS Tracker - TK102 will act as the last line of defence and hopefully assist the recovery of your vehicle. Not everyone can afford the latest high-end equipment, but a cheap GPS tracker will do the job for most people. The GPS Tracker - TK102 is packed full of the latest technology to allow you track your vehicle. These trackers can be secured to track all manner of items, from people to cherished items, but are ideal as a vehicle tracking device. Offering real-time on-line tracking, to an accuracy within 5 metres, should the worst happen you should be able to assist the Police with information to help them return your stolen vehicle. 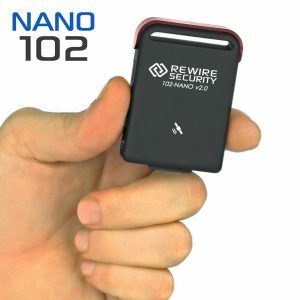 This particular device seems to offer a lot more than many would expect from a cheap GPS tracker! You would expect these devices to be very expensive - however there are numerous options and models available on-line. A cheap GPS tracker is well within the budget of most motorists. We have detailed the GPS Tracker - TK102, with over 14,000 sold. View more from eBay below . . .